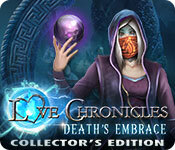 Love Chronicles: Death's Embrace Collector's Edition is rated 3.6 out of 5 by 21. Rated 5 out of 5 by EscapeMuse from FINALLY LOOOOOVE ONE!! There are no annoying noises. The game navigates smoothly The graphics are great The game is fast and makes sense There are no useless cut scenes every time you change location. LOVE IT! Rated 5 out of 5 by ViktoriaV from This is a great game!!!! I really liked this game. I find her story interesting and exciting. Rated 5 out of 5 by Sara6777 from This Game is a Bright Spot Among the Recent Duds!! What a refreshing game! I really enjoyed the demo, and have already purchased the CE. Vendel really went above and beyond (shouldn't all games be like this?) to ensure a unique and FUN game! I RARELY give 5 stars...the game really has to earn them...and this grade was an easy choice for me. The CE did not have too much that justified the cost, but the game is so good, that I'm not even too upset about it! There are 36 collectible hearts to find, and other than the usual additions (wallpapers, etc), that is it. We have had a run of bland and boring games this year (I think I have purchased 5 so far, and regretted 2 of them), so I am happy to see this...another great addition to a series I really enjoy. As always, try the demo for yourself! Rated 5 out of 5 by pcpat923 from LOVING THE BAD GUYS! Evil Phobos and the Guardians just seem so much more interesting than the good guys. They're minding their own evil business and so what if Phobos has to jump into the real world to steal a living soul or two to live forever in the underworld. The guy's gotta survive and he is very important to have his very own world in which to reign. So, he gets out of line a little bit. He's a bad boy. What do you expect? Vendal Games has outdone themselves if players enjoy a well presented magical, mystical theme--which this game hits high marks on all points. A great game to step away from the grill and make up an excuse to go inside to cool down in the air conditioning. Not zipping through this game as players work creative puzzles to advance. There is some hand holding so you can't have it all. Enjoy! Happy 4th of July! Rated 5 out of 5 by cabanaeast18 from Another good Vendal game I can only agree with sunnyglow. She described this game well. Personally, I love their game helpers. Too bad it doesn't give me the option to have my helper. Rated 4 out of 5 by Stef350 from Good game Graphics are ok and so is the music and soundeffects. A bit short though. Rated 4 out of 5 by fiewi1 from Blame it on... Love (of course) It's always a nice and rare surprise when the dialogues continue by themselves without having to click on -well- "continue"... As for collectibles, love is in the air -pun intended! This whole glowing drop thing in the Menu bar -the "helper" of a sort- is a bit distracting. Also, the ending in the main game is a bit silly really. Overall, a satisfying game with enough levels and complexity. In the bonus round you'll get to understand everything about this glowing blue drop that accompanied you to your trip! A true 4-star game! 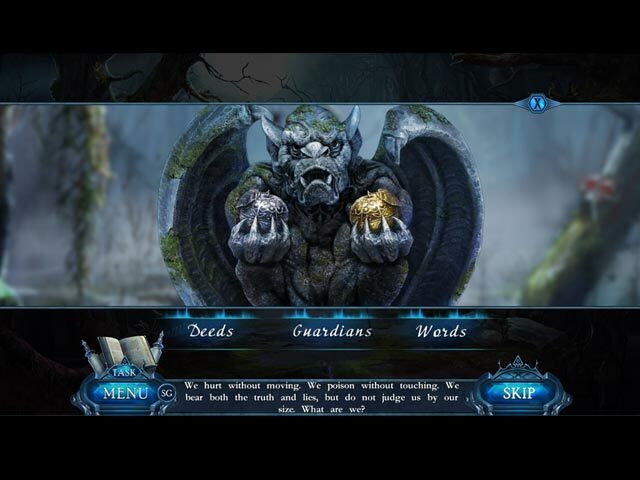 Rated 4 out of 5 by Italia47 from I have a phobia of PHOBOS--Lord of the World of the Dead! So many Guardians, and then there's PHOBOS the evil Lord of the World of the Dead! You come across a lot of interesting characters, too, like the Blind Witch. But I must say that Vendel developers put an extreme amount of thought into this game. I have to give them a hand but quite frankly, I was getting a bit tired of matching symbols after awhile and as much as I like matching pairs, IMO, there were too many of them. But again, the developers really did a splendid job, so I commend them for their hard work. The flow was very good; the graphics were great; the music and sound effects were wonderful. To use the map you have to click on the journal and select it next to the tasks. The map was good. I just completed the entire CE version and I enjoyed the Main Game quite a bit but I can't say the same about the Bonus Game, to be honest. It ends abruptly. Perhaps there is more to come in this series! There were tons of interactive HOS which wasn't difficult at all. And you had a helper so to speak--a little bit eerie but he does help you when needed. The you've got your Dark Compass. I suggest you try the game out. You will have loads of things to do. For me, runes and symbols are cool but I think again, there were a bit too many for my taste. The HOS were simple and toward the end started to look like junk piles but you will find your items, I can assure. Be patient. It's always that last one that's tricky. I recommend this game for sure. You may very well love it! The game, though challenging at times, was not difficult at all but tedious. The developers deserve a pat on the back for doing a good job! Rated 4 out of 5 by Pilot1 from A fantasy tale well told. 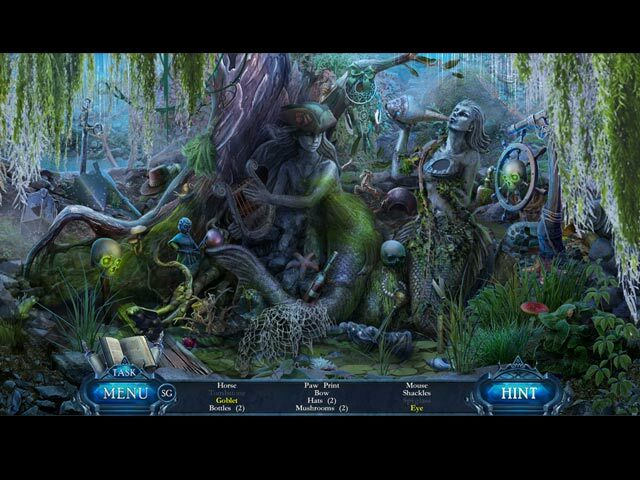 If you like fantasy and magic, odds are you’ll like this game. Others have done a good job of describing the play-by-play and the CE collectibles, so I won’t duplicate their good work. 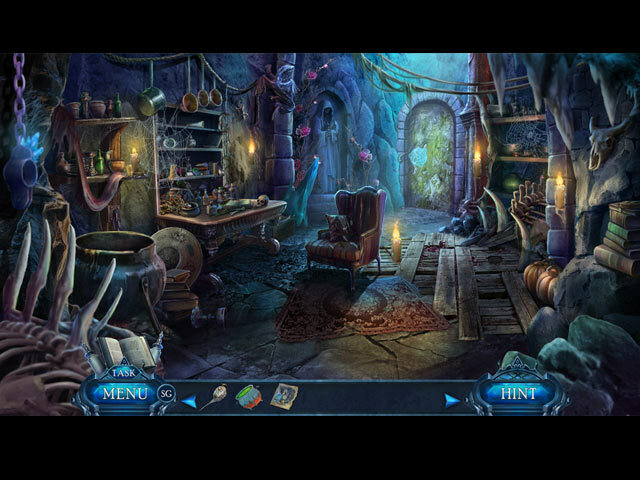 The graphics are soft around the edges, and in pastels, which is quite fitting for the overall ambiance and theme of this game. The music, background, and effects sounds, as well as the voice-over narratives are all well done and enhance the game-play enjoyment. The story is one we’ve seen many, many times —a nefarious entity has kidnapped a loved one and only we are able to effect a rescue after, of course, undergoing many trials and facing evil adversaries. In truth, though, there are just so many plots that lend themselves to this type of game, and this one doesn’t suffer because of that sameness with others. The HO sequences are not unique, we’ve seen these types before, but they fit the game quite well and do not detract from the game play; likewise, the mini-games. Although I recommend this game for fans of the fantasy genre, as always, my caveat is that you play the demo and decide for yourself.